School composting programs teach students about reducing waste, protecting our natural resources, and how to create a successful garden. By diverting the waste from school cafeterias, students can improve school gardens, lower the school’s landfill waste, and receive an invaluable experience in setting up, managing and remaining committed to a school program to make it a success. 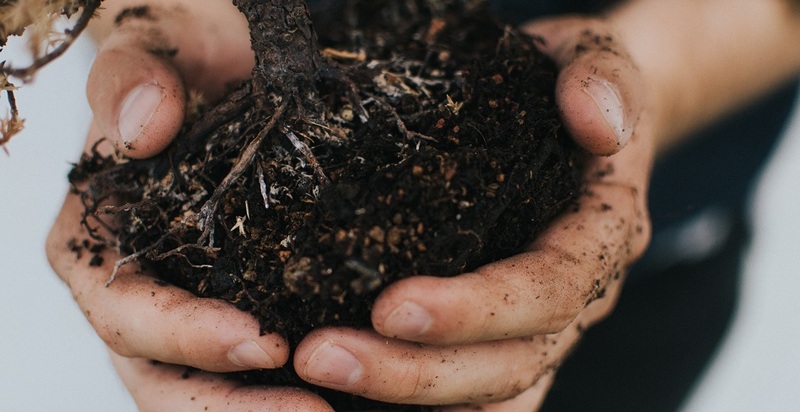 If you are thinking about setting up a composting program at your school, check out these important steps from the Waste Management Institute at Cornell University. Form a Team – Creating a successful composting program will take commitment from cafeteria staff, maintenance people, teachers, and students. You might recruit some interested parents, too. Make sure you have buy-in from each of these groups and then set up goals as a team. Promote the Idea – Let the school community know about your plans through a school-wide assembly, newsletters, morning announcements, and signs. Encourage students to participate by providing stickers or other special rewards for the entire school. Assess the Situation – Understand the amount of compostable waste the school generates by sorting and weighing the waste. Set up bins for students to separate their food scraps from their recyclable containers and trash. Then as part of a math or science lesson, have students weigh the bins to analyze what students are throwing away and what can be diverted to compost. Decide on a Strategy – Will your school compost on site in schoolyard bins, in individual classrooms using worms, or offsite at a local commercial composting facility or farm? Read more about each option using the link to the article below. Develop a Collection System – Well labeled five-gallon buckets with lids are great for collecting food scraps. Be sure to label each bucket clearly and include a strainer on the liquid collection bucket to keep out straws and other solids. Create a diagram of where the buckets will be placed inside the cafeteria and consider using a wagon to move full buckets to the final destination. Start the Program – The teams should create a schedule for collecting the scraps, weighing the scraps and transporting them. Students will also need to take the temperature of the compost pile if composting onsite, and then adding layers of brown material over the food scraps. Finally the buckets will need to be washed and wiped and returned to the cafeteria. If individual classrooms are composting with worms, a separate schedule will need to be created by each classroom. Use your Product – In about six months your compost should be ready. Decide if you will use the finished soil-like product on the school garden or make it available for community use. Read the following article for ideas about incorporating composting into your science, math, even physical education curriculums, and learn characteristics of a successful composting program, how to troubleshoot problems when the compost pile is not working, and some frequently asked questions and answers about school composting.